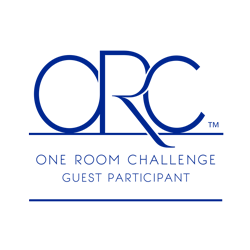 This has been by far my easiest One Room Challenge yet. Maybe because it technically wasn’t a whole room. This corner in our living room has been housing our desk for some time now. But, as you can see it wasn’t really a pleasing space or an organized space. 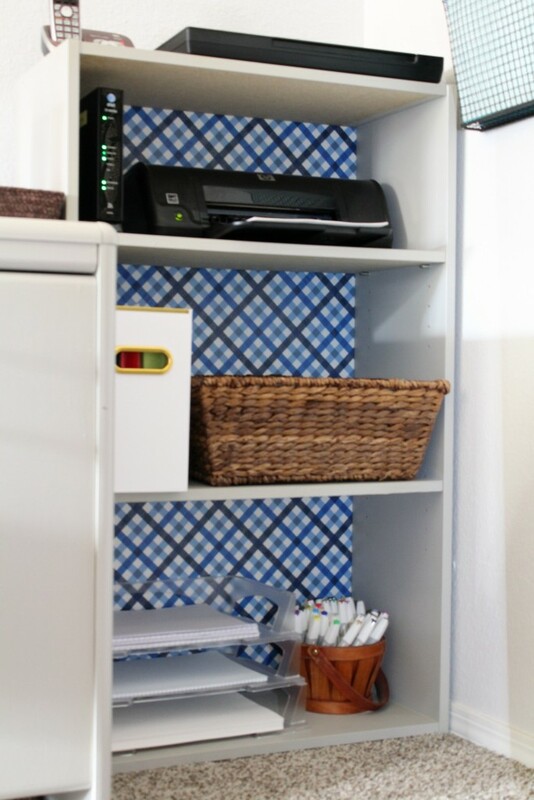 I could never decide if that hutch gave the illusion of being organized or disorganized. Some affiliate links used for your convenience. See disclosures for more details. Enough talking, on to the reveal. The view from the hallway has much improved!! 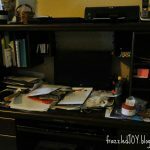 Removing the hutch from the desk was huge! Painting everything was just icing on the cake. I found a new chair at Hobby Lobby. It’s comfy, it matches, and it was under $100. Win!! I made a pillow with some leftover curtain material for a little extra back support on those long work days. All of our computer equipment – printer, scanner, and router found a new home on this bookshelf. 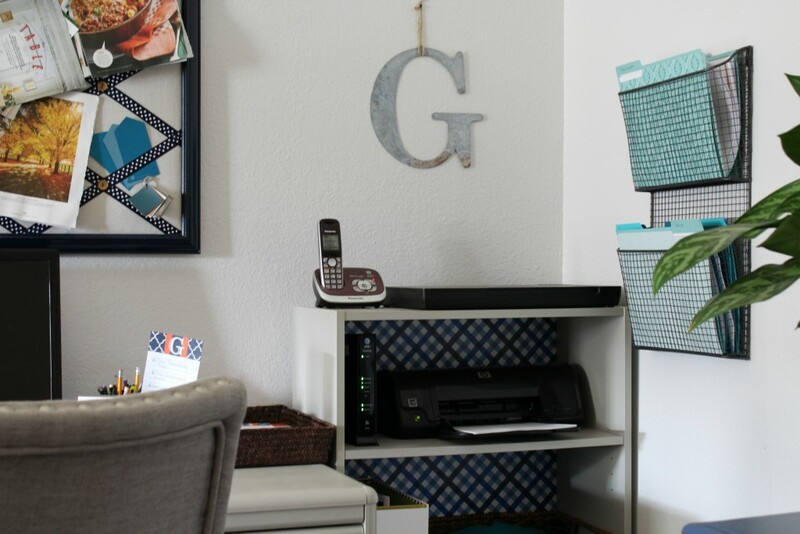 (and yes, we still have a land line 😎 ) This is also where everyday files, and papers are going to land. A file box for files, and a basket for papers that I need but don’t need to be filed. 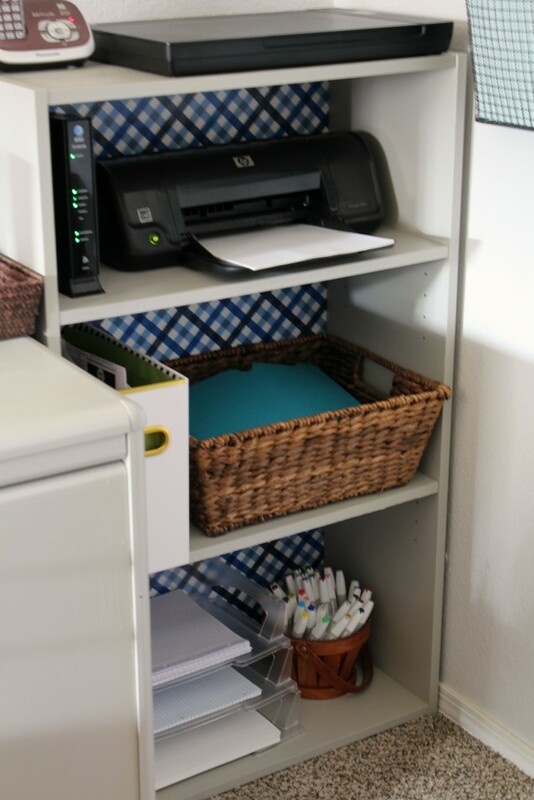 I so love how everything is tucked away but still easily accessible for the entire family. God is good y’all. All the time. The bulletin board was a DIY I’ll share with you soon. It’s currently filled with magazine clippings of inspiration. Anyone else still tear out magazine pages?? 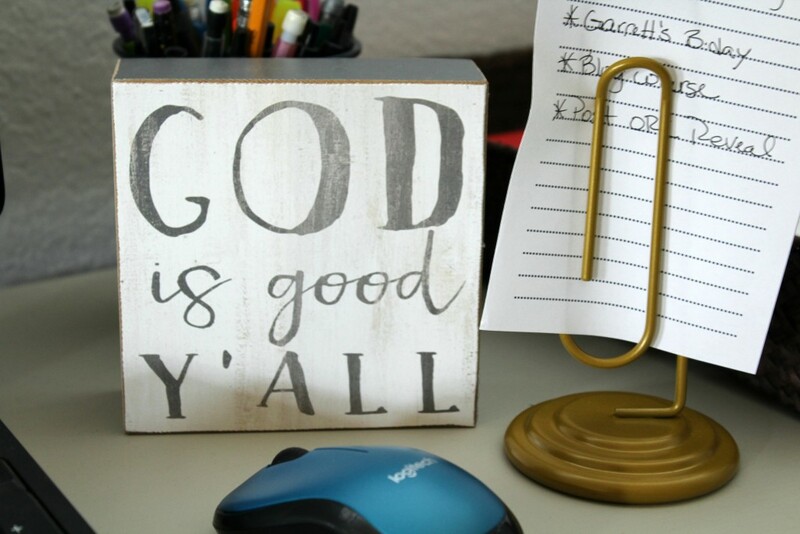 On the wall next to the bookshelf is a wire hanging file holder that I picked up at Hobby Lobby. I’m storing files that need to be accessed more often. I’m just loving how things look on this side of the room now!! This is probably my favorite pic. The view from the family room is so much better now!! Before it was just a sea of brown mess and now this area fits with the rest of the family room that we have updated over the past couple of years! I anticipate great things coming from this new work space, so look out!! Thanks so much for following along, and cheering me on during this 6 week challenge! Make sure you check out all the other hard working bloggers sharing their reveals today, and also the featured designers’ spaces!! Great stuff!! Awesome! Now check your email to confirm your subscription! It looks great! It’s amazing what paint and modifications can do for a space. I love the new chair and accent pattern in the shelves! It looks very unified and organized. Great job! Thanks so much Karrie! Paint is my favorite decorating weapon! It all looks fabulous!! Great work on a beautiful update! what a difference, denise! the blue dresser looks SO good in there! beautiful work! 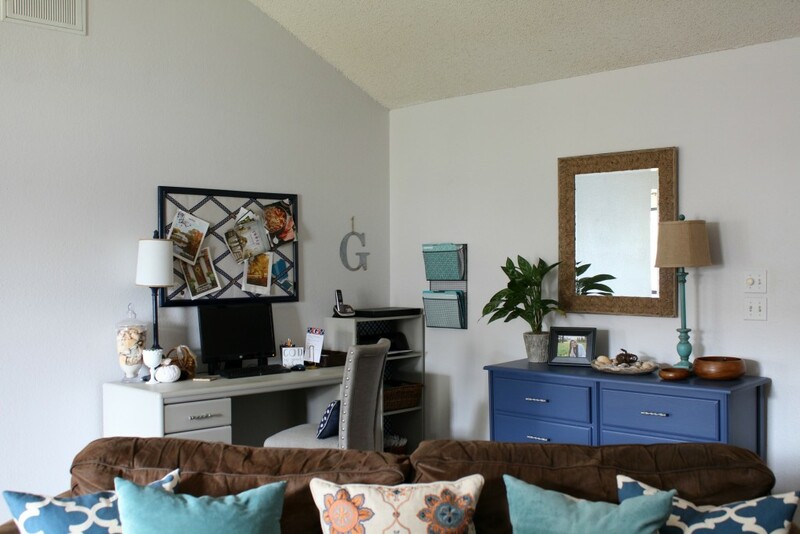 Denise, this space looks so great! 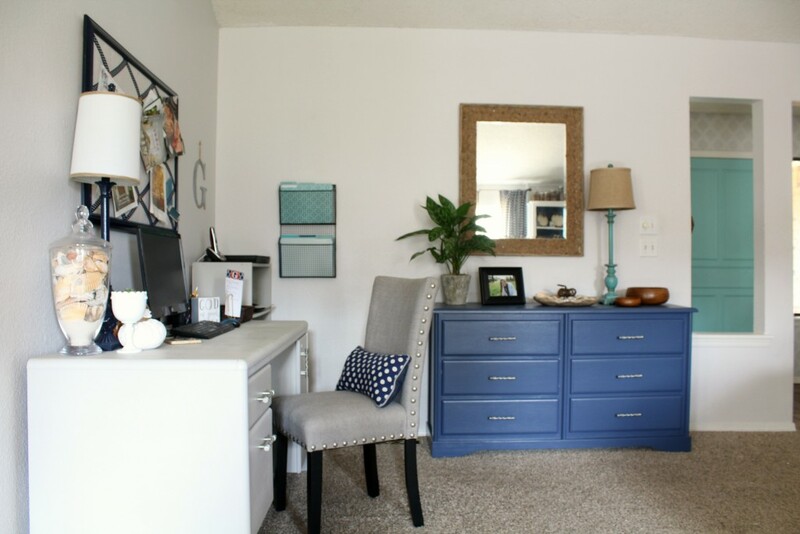 Love the blue dresser especially, but removing the hutch from the desk makes a huge difference too, who would have thought? Love how balanced and pulled together it all looks, congrats on getting it done!! Hi Denise! I love this new space of yours! What a huge improvement, great place for your family. and I love the blue you chose for the dresser. Thanks Nicki! We are enjoying it so much more! 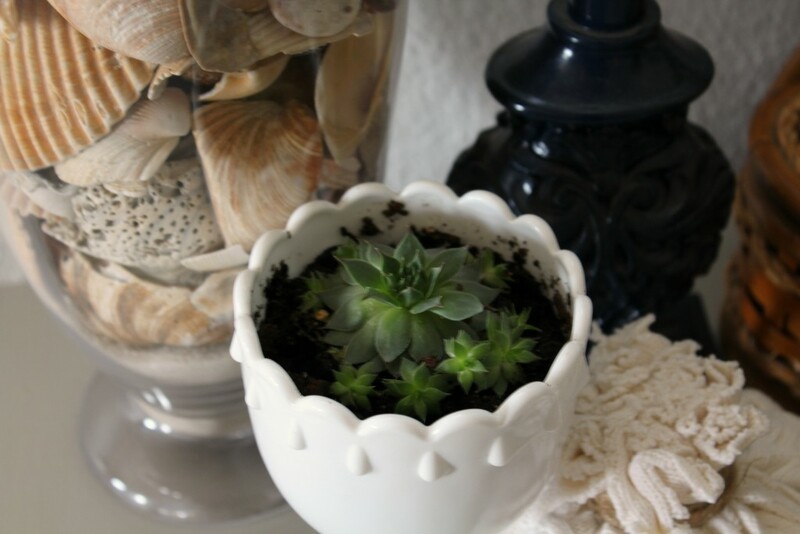 This space is just lovely, Denise! 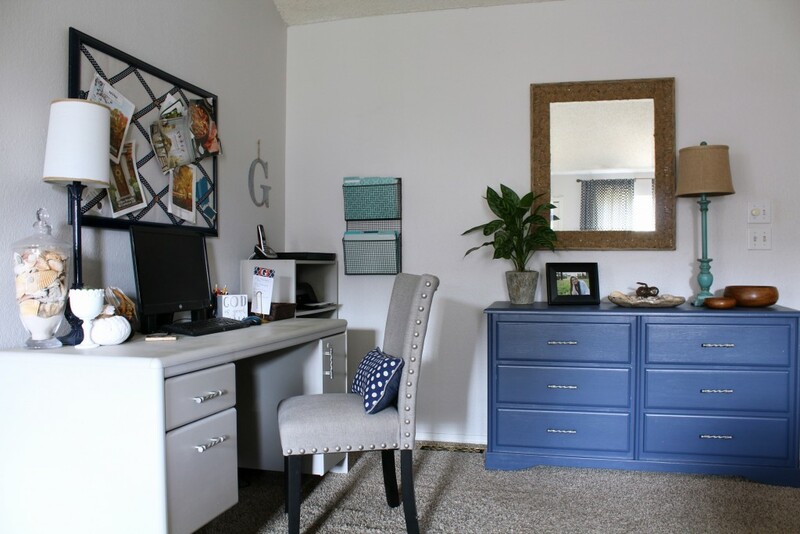 Way to go on getting this room transformed! Congrats! It looks so great, Denise! It must be such a pleasure to work in there! Great job! 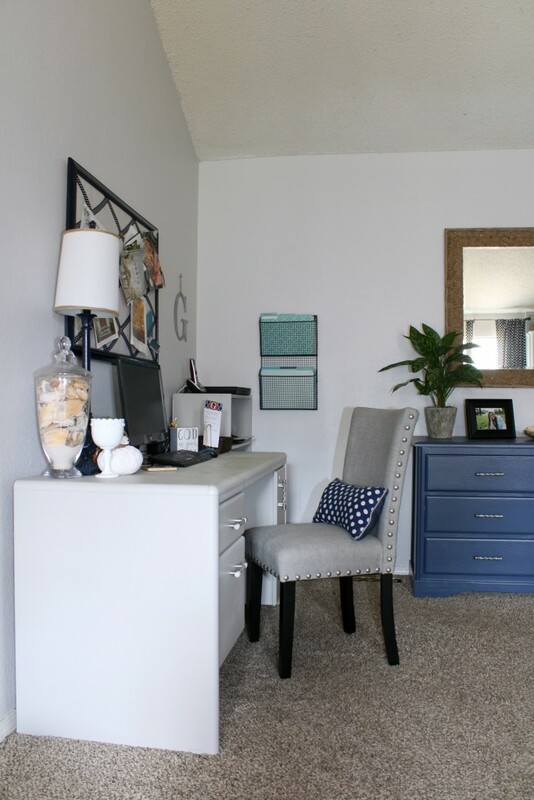 Wow Denise, you did such an amazing job with your office! 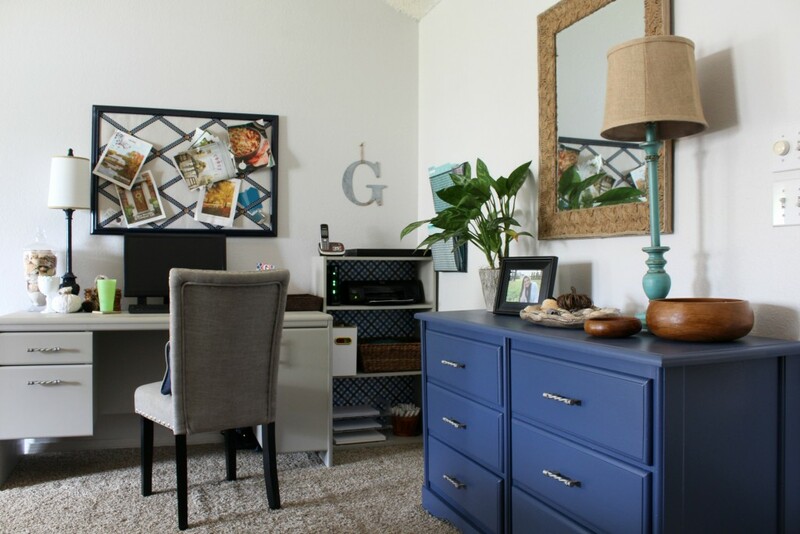 I love all the small details and especially the blue dresser! What a great transformation! Denise!! It looks fantastic – great transformation. Love the blue dresser!! Thanks Krista!! We are so loving the space! Wow! 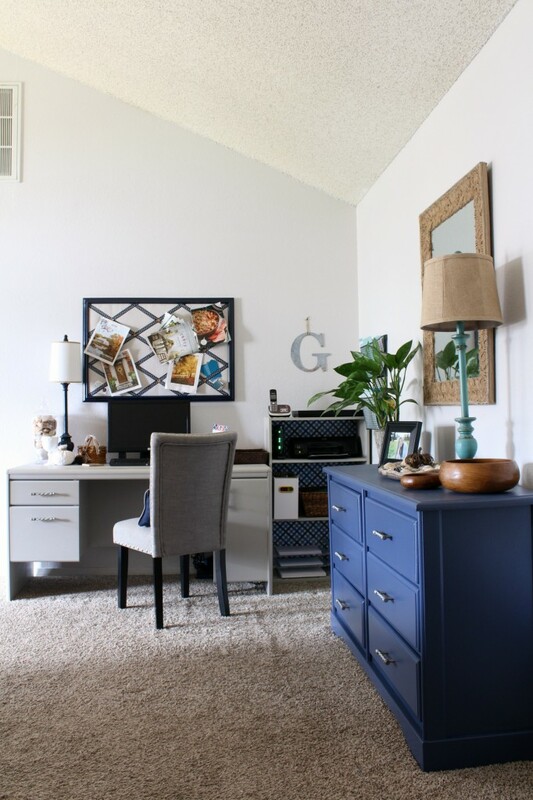 This office turned out great, love the blue dresser! Aw, thanks so much Samantha! Post coming on that this week! 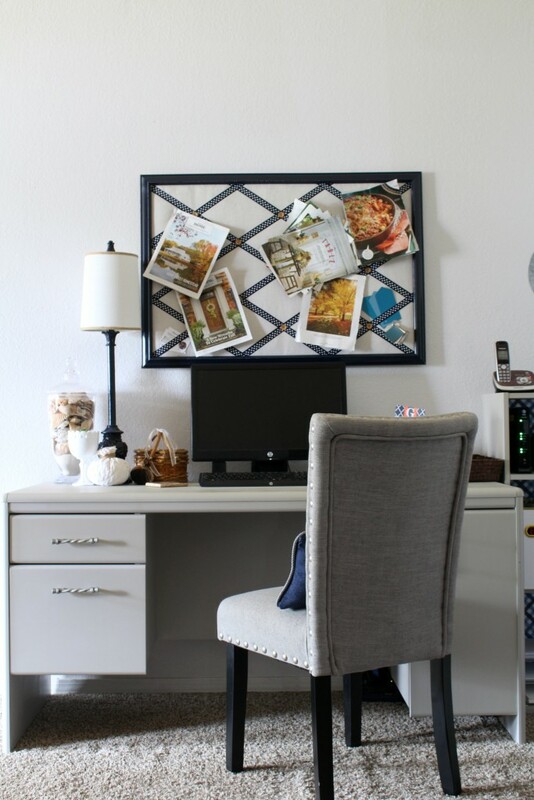 I love that you have a bulletin board right about your desk now! That is going to be so handy. It looks great from the family room too! Aw, thanks Jessica! Glad I’m not the only one! What an amazing workspace! Storage and style for days! what a gorgeous makeover!! I love how organized everything is. 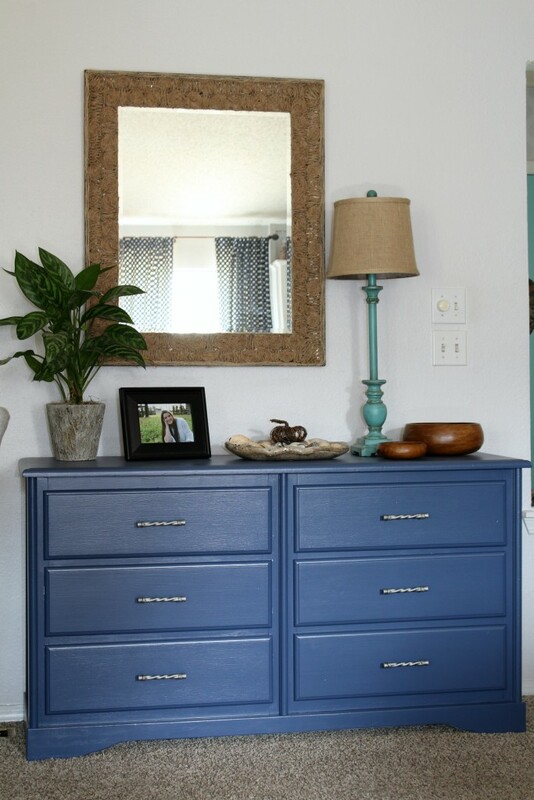 Love that blue dresser, too! Thanks Sarah! The organization really is making everything better! 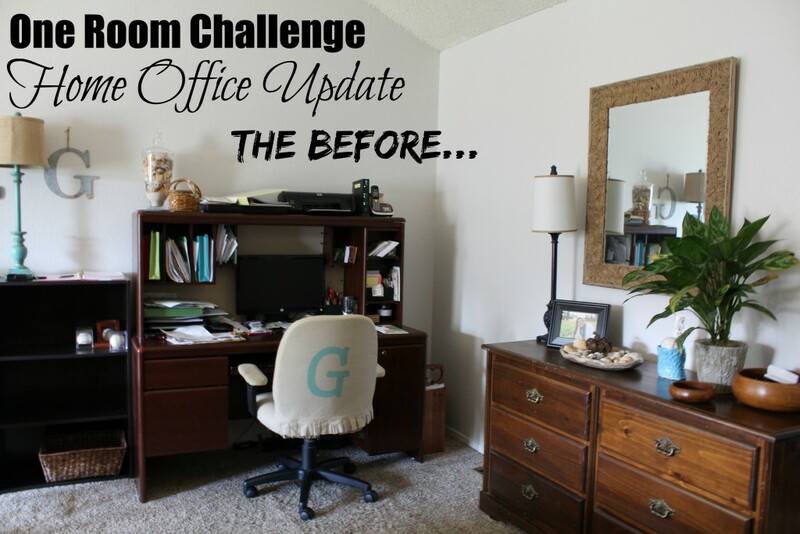 What a great office makeover. It turned out so good and love the bright blue dresser! 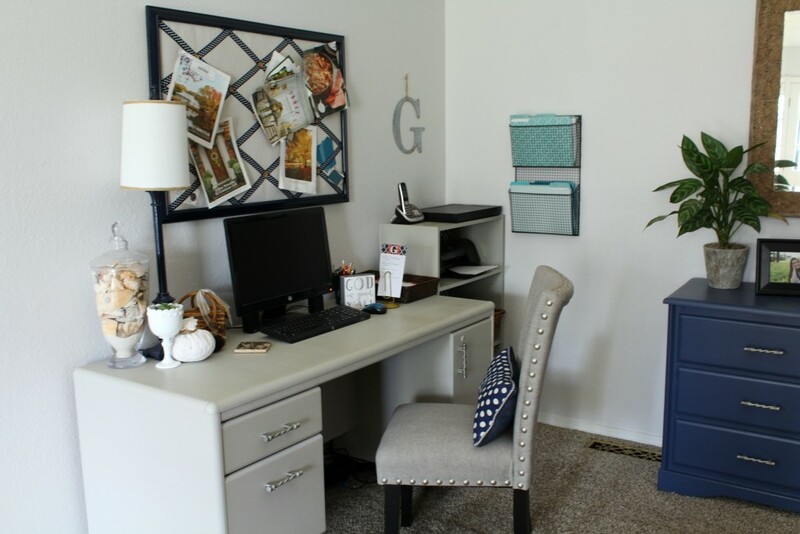 Love this little corner office space! That chair from Hobby Lobby!!! I seriously have to get that. My husband and I were just talking about how our office needs a major makeover. Love that blue dresser in there too. Great color. Thanks so much Erin! We are loving it! It looks so good! Glad to have stumbled on to your site! Very beautiful. Thanks so much Jessica! Welcome! 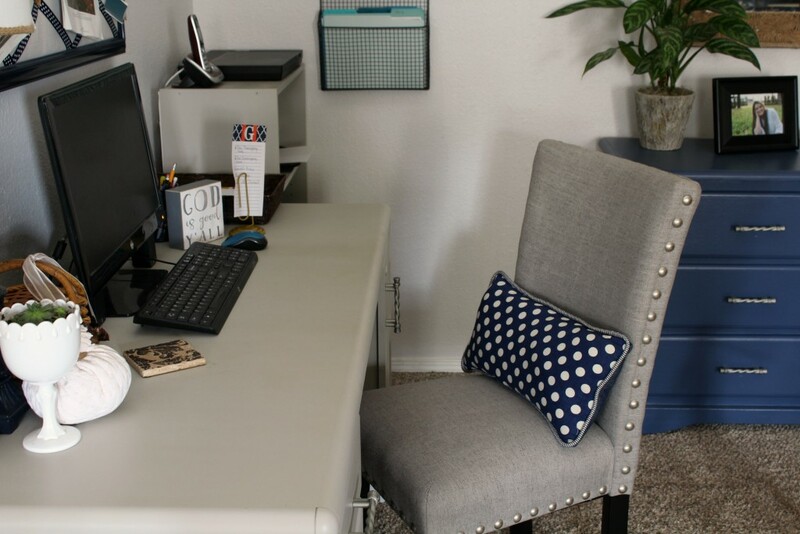 I bet you are going to get so much more work done in a space you love! I know I will, too!! Great makeover! 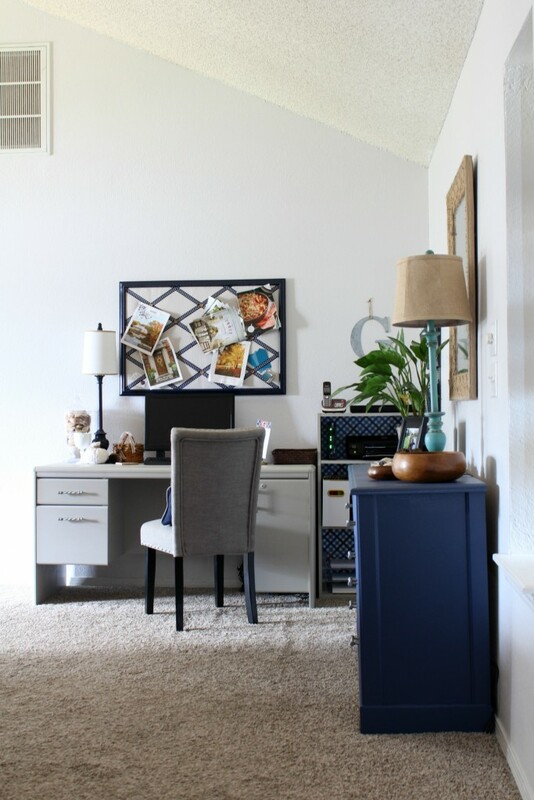 Love the blue color you used on the credenza. Visiting from Remodelaholic. Thanks Victoria! Glad you stopped by! Thank you Holly! The See Jane Work collection is so fun and functional. And gingham is my favorite!! Yay! Welcome! Now check your email to confirm your subscription! I share to inspire!! Please feel free to use and share my ideas!! I simply ask that you give credit back to my site and add a link back to my blog if you reference one of my projects, or photos. Thank you so much! !